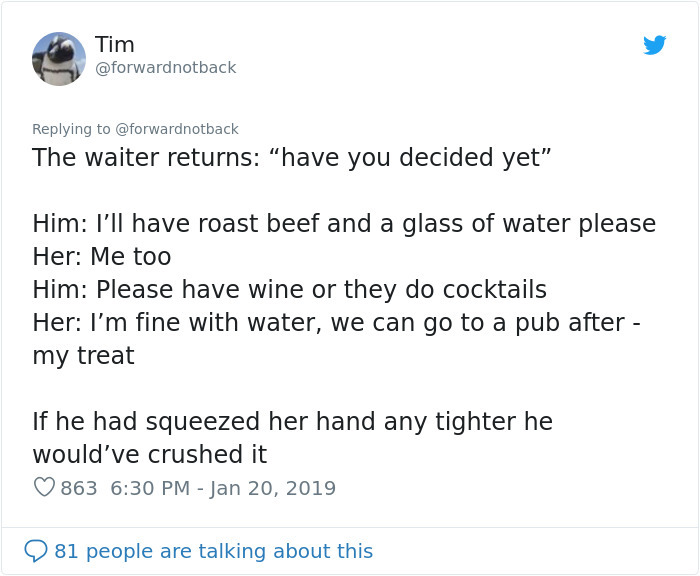 When you are entering a new relationship, you have to get through your first official date. 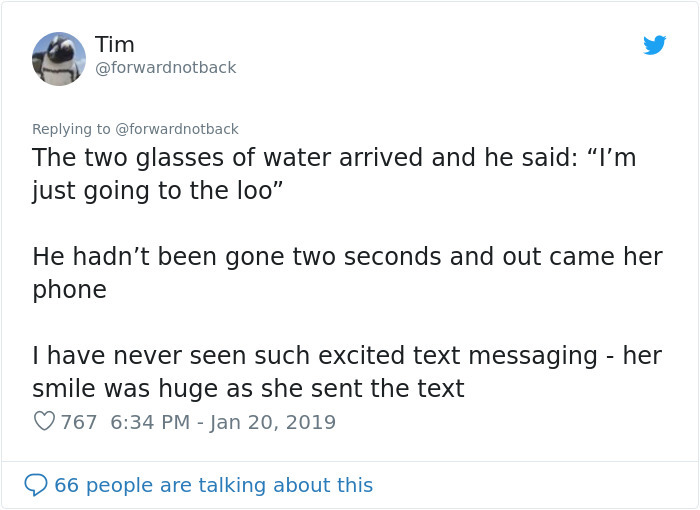 You may experience anxiety, sweaty palms, or even endless changing of the best possible attire. 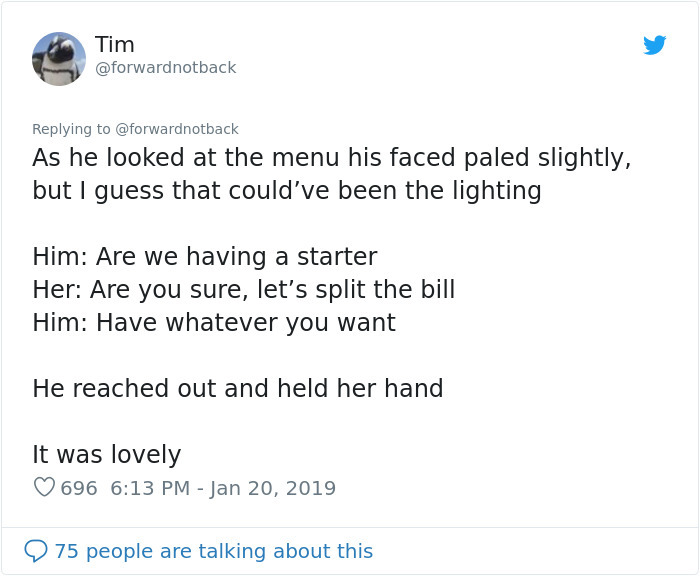 While most of you vividly remember the epic memories of your first date with your now-spouse or long-time partner, they probably weren’t all rainbows and everything nice. 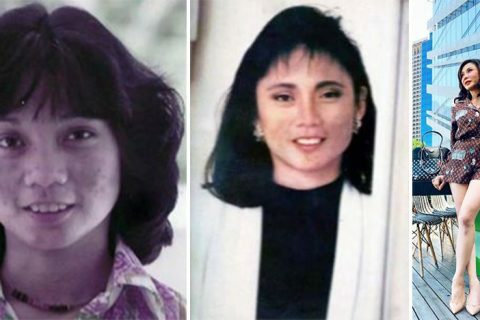 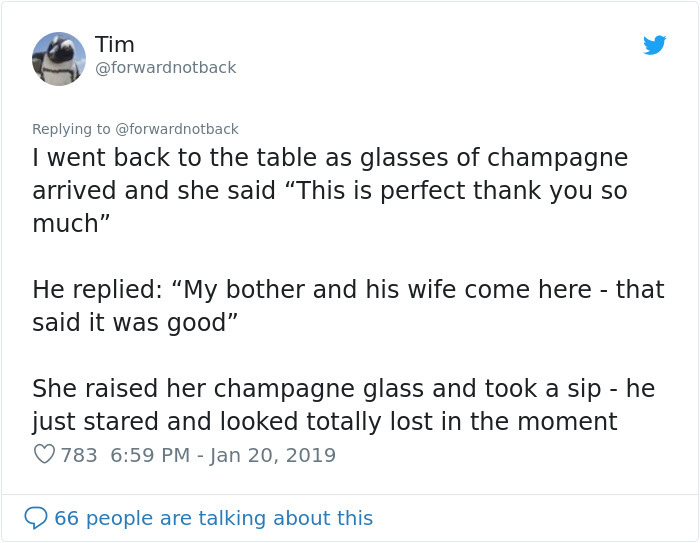 A Twitter user with the handle @forwardnotback shared how he witnessed a couple most likely on their first date that brought us so much nostalgia. 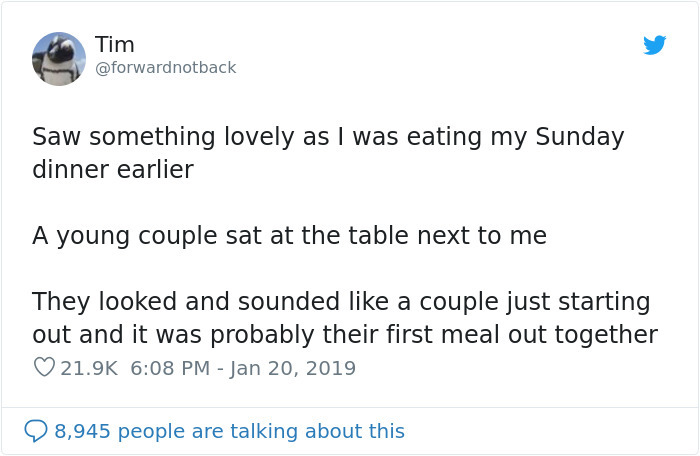 The netizen chanced upon the two young lovers when they sat on a table next to him. 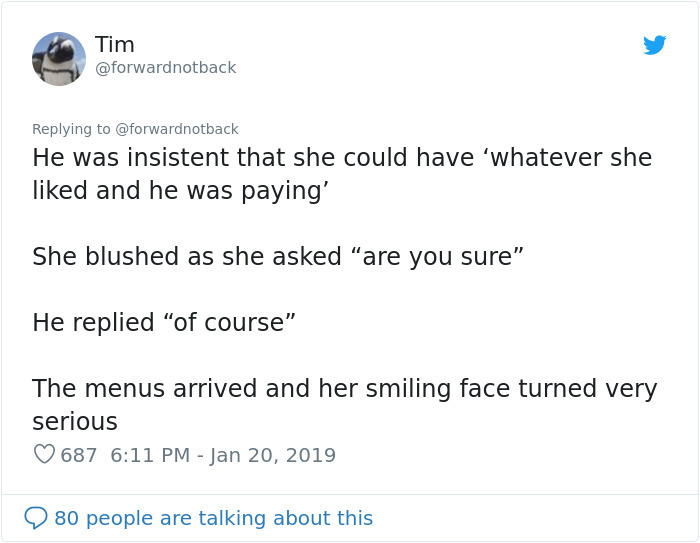 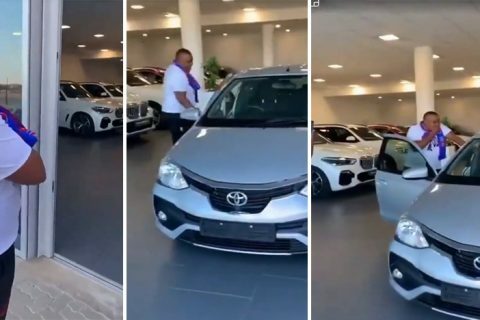 He had noticed how the young man clearly had brought his date to the restaurant that was a little out of his price range just to impress her. 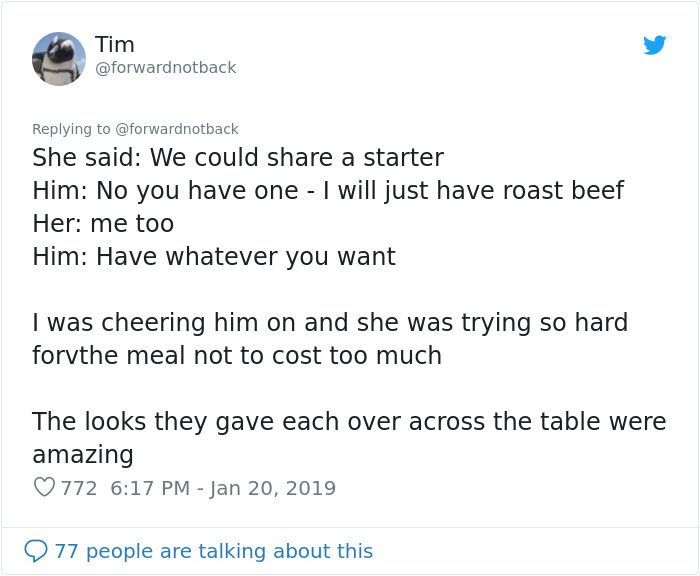 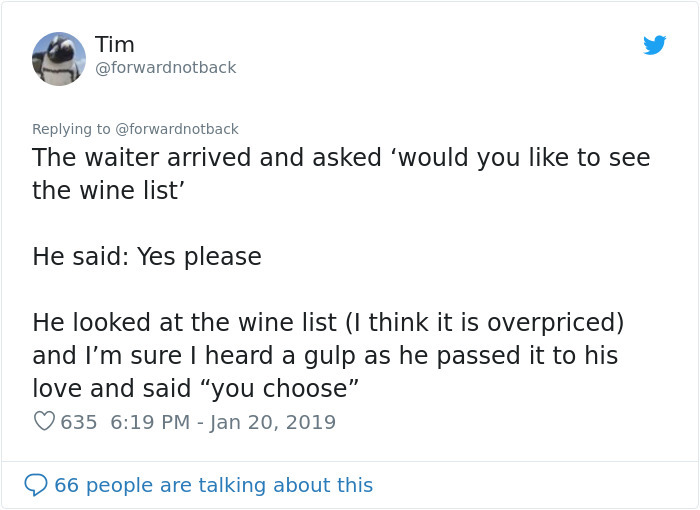 However, the lad insisted that she could have whatever she wanted and that he would shoulder the bill despite the girl’s suggestion to split it up between them. 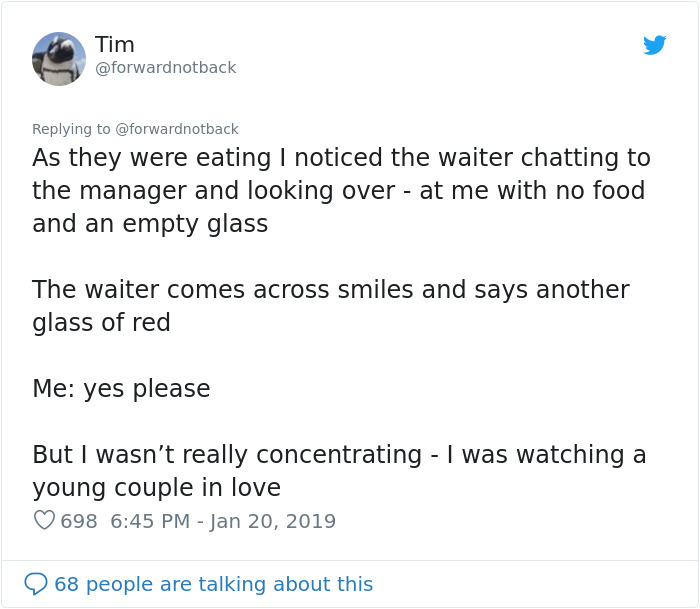 It was such a special moment of young love to behold. 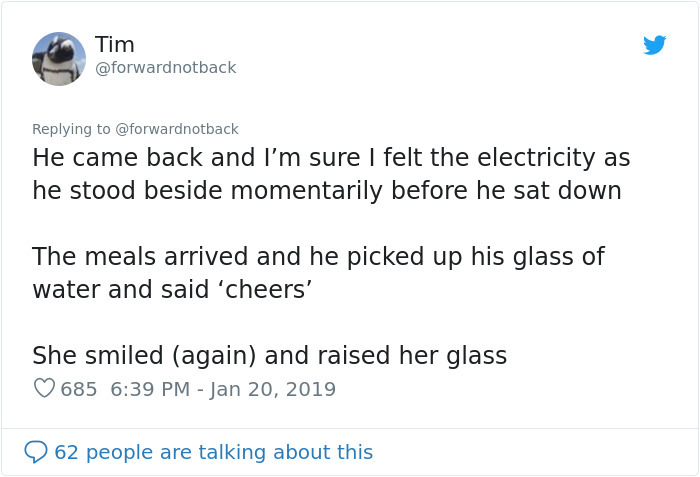 The netizen further narrated as far as when the wine list was passed on to them by the waiter but both of the lovebirds opted to have a glass of water each and planned to just go to a pub after. 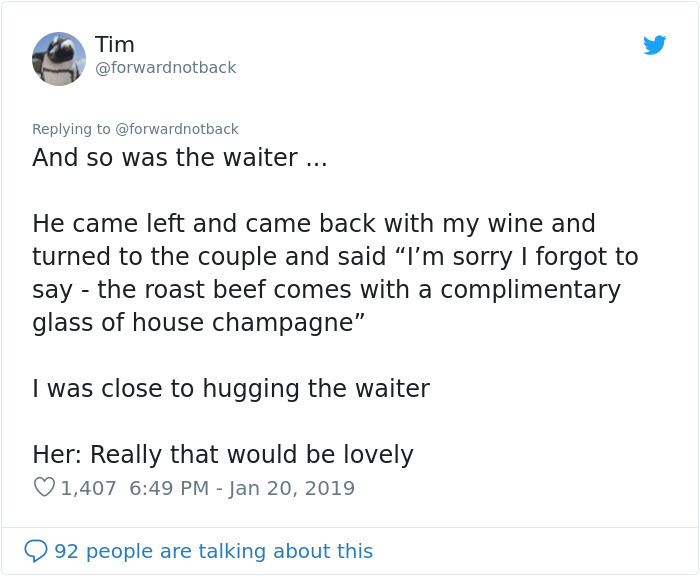 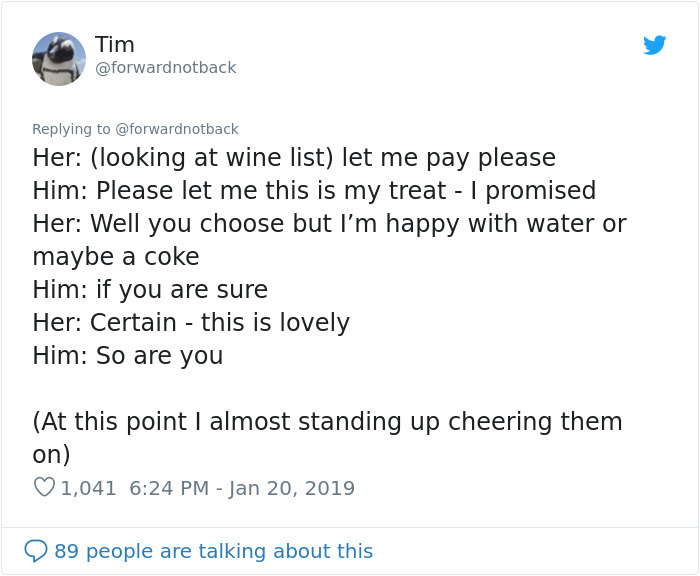 He also noticed that the said waiter briefly chatted with the restaurant’s manager and came back to inform the couple that their meal came with a complimentary glass of house champagne. 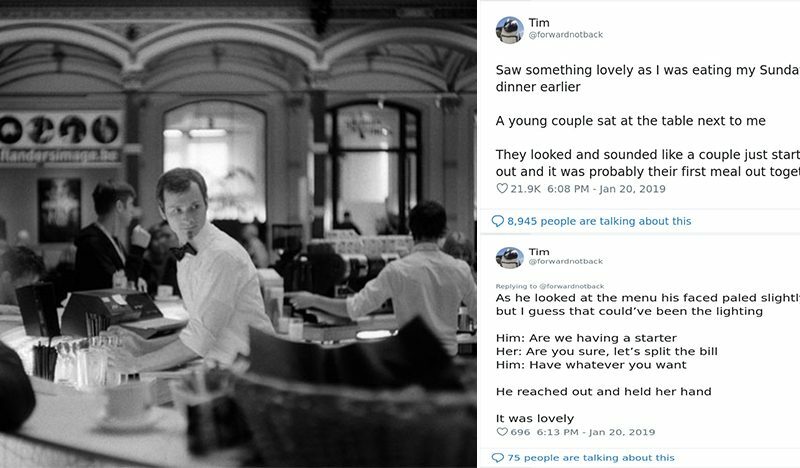 It was truly a touching gesture by the waiter which made the couple’s night. 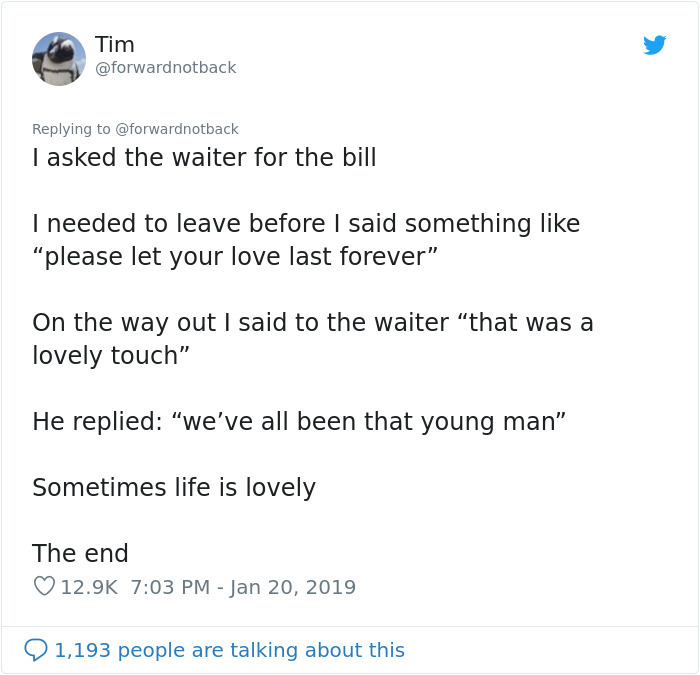 Before the storyteller left the place, he complimented the waiter about what he had done to which he replied with, “we’ve all been that young man”.